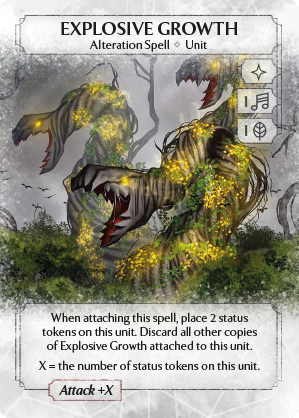 When attaching this spell, place 2 status tokens on this unit. Discard all other copies of Explosive Growth attached to this unit. X = the number of status tokens on this unit.